Your favourite photos in a loop: now you can watch the pictures from last summer holidays or the best family photos over and over again. 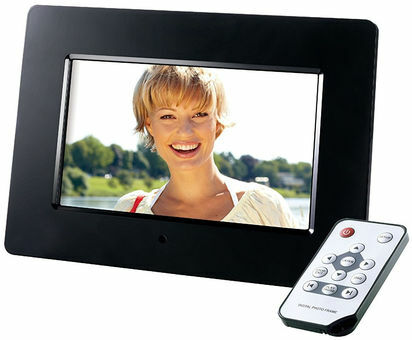 The pictures are displayed with bright colours on the digital 17.70 cm (7 inches) photo agent plus picture frame with a resolution of 800 x 480 pixels in a 16:10 format. In addition to pure photo view, photo agent plus also features other view options such as calendar and time. Thanks to the timer function, it can be determined in advance, when photo agent plus should be turned on. INTENSO Intenso Photo Agent Plus 7" Intenso Photo Agent Plus 7"